I always thought of myself as of a quick learner, therefore I prefer to practice and hone my skill rather than reading long and lenghty books. Unfortunately, that’s not the case with Go. I’ll give a try to “Go in Practice” from the same publisher in a hope that it will not leave me with lots of unanswered questions as this book did. 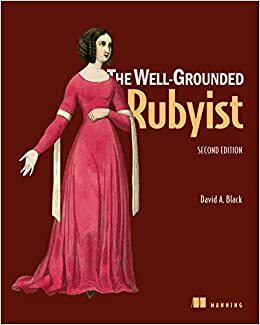 This book gave me a good momentum to start using some of the Ruby features I (i.e. Fibers ) that I was completely unaware before, though the amount of input it provides is not overwhelming which helps you to digest this book over a weekend. 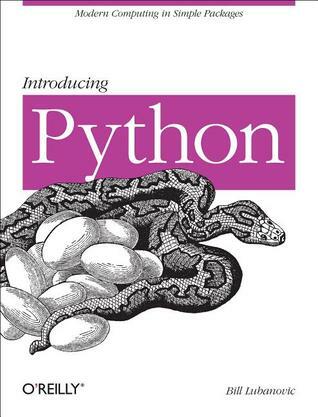 This is actually the first book about Python I’ve read even though I’ve used it extensively throughout the years. My perception that this book proves is that Pythonistas are usually not programmers by trade, they’d come to programming either due to a lucky coincidence or by taking a wrong turn on the road of career hopping. This book has promised to give a broad look on the Python’s ecosystem, it actually delivers on what it promises. But this look is so shallow that I can’t recommend this book for those who’s willing to get a deep dive into Python on a weekend. The technical details it gives look like author’s waving the hands in the air with no actual proof that I’m used to in Scala and Java books. Good book, but I can’t recommend it to any professional programmer who’s used to technical/programming/mathematical books. 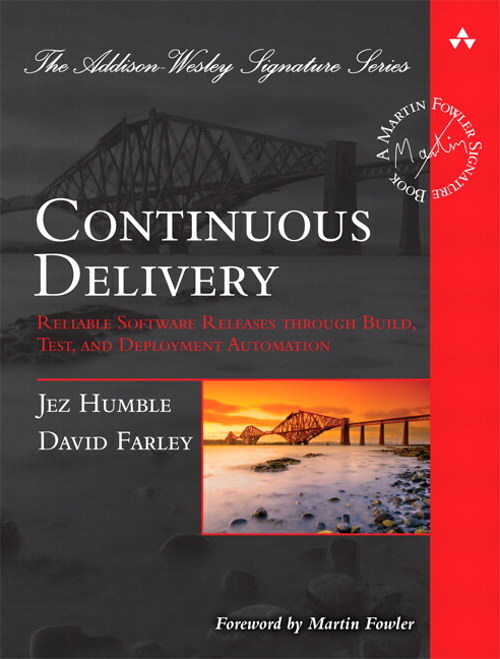 This book is considered a cornerstone of the DevOps movement. In my opinion, it might be that in the very beginning, but currently most of the concepts that it presents are obvious and outdated. I will recommend it to be read to someone who’s new in the DevOps community, but if you’ve got a few years of experience in the area under your belt I would not. It’s nice to have all good concepts under one cover, but reading a 400-pages long book that will tell you the history of GIT and SVN is pointless in my opinion. Most of the ideas presented in the book could be wrapped in one long yet succinct blog post. This book actually reminds me of the book “Release it ” but with much less emphasis on actual technical patterns but with a stronger accent on soft skills. 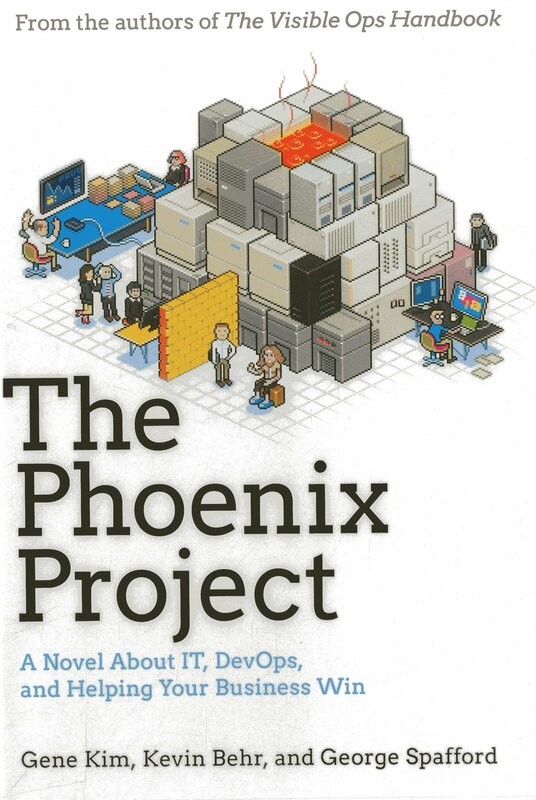 It’s also complimentary to the “Phoenix Project” written by the same authors. If you’ve skipped the “Phoenix Project” or you don’t like to read the novels, like I do, I would recommend you to start with this book as it has much more momentum than the first book. It has a bunch of great inspiring examples of successes from the companies that have embarked on the “DevOps journey” which to me is the best part of this book. Also the book is relatively recent therefore a lot of its advices are quite innovative and might be even disturbing to some. Sometimes I’m late for some of the most important events in my life. Hopefully, health is not the issue that I’ve missed. Self-awareness and consciousness have always been a nice thing to have under your belt. This book helps to improve those skills by giving you a nice reference for all the good things you need to be aware of that might either help you to advance or suffer as a human being. This book is nothing more than a composition of blog posts, though it gives your a nice system as a set of goals you can follow along with a companion mobile app. In my opinion, it’s much nicer to have good ideas under one cover than scattered around the Internet. There’s a relatively short list of books I would like to keep on my desk. Most often those books are references and a composition of famous quotes. After I’ve read this chap I’d like to have it on my work desk at any moment. This book is a perfect mix of lots of useful technical insights, practices and recommendations got from the author’s hard-earned experience combined with some of the soft-skills you need to make your software and its maintenance (which as the author states costs more than the initial 1.0 version) as smooth as possible with as much of interrupted sleep as you could possibly get. The book is definitely outdated, some of the references to particular technologies look odd and obvious (if not even funny). Nevertheless, I will put this book in one row with the “SRE book” & “Project Phoenix” as it combines them both. That was the first non-technical book I’ve read for the last few years. At first I was really struggling to go through the first one hundred pages as I was constantly bored due to absolute lack of any technical details. However, a good book is always a good book even though it’s an IT-concerned novel. What I like in this book is how it reminds some of the actual projects I’ve worked. I’m not sure whether the final solution that this book presents will be suitable for anyone but still it gives a lot of food for thought how to improve the inner processes and the workflow in any IT organization. If you like “The Deadline” by Tom DeMarco you would love this book. My score is 3/5, simply because I don’t like novels. What the newly coming Java 9 will bring to your Scala? Java 9 is supposedly coming in July this year. All of its features are already discussed, however, as it was in the past everyone will wait until the minor version 1 or even 2 will be released for the wide adoption to take place. What’s even more important that usually OpenJDK community doesn’t care a lot about the JVM languages if it’s not Java. Those Clojure developers who used to install every JVM update know what I’m talking about. Let’s quickly reiterate what are the major JVM/Java features that might affect (or have already affected, according to the current b168 build) Scala and its ecosystem as Scala has currently its prime-time with a lot of business users unwilling to break their core apps due to a new version of the platform its built upon. Let me quickly go through that list one by one to explain what in my opinion will be the pros and cons of every feature. on your project with all your dependencies and Scala code compiled being already added to the classpath, but hopefully Java build tools could improve that and make this REPL as useful as it is for Scala projects. Notice the lack of semicolons, but be aware that you still need to use them if you plan to write a function. Did you like that every string is a char array? I didn’t as even considering a string pool having a lot of strings was costly, made your heap unnecessarily large and made your unicorn garbage collector cry since why should it be bothered with cleaning of … strings? Since JDK 9 your strings will become… arrays of bytes plus an encoding flag. According to findings made by the JDK committee the lower footprint will make your unicorn garbage collector dance of joy. Let me illustrate it with a slide from a great presentation done by Aleksey Shipilev at JFokus. You’re finally allowed to omit the type while allocating a new Java variable, like you know… in Scala. Sorry, just kidding. It’s not yet there. It’s the most anticipated JEP for me personally that was proposed last year by the JCP, even though it was authored by Brian Goetz there’s no final decision yet will it be a part of Java 10 or Java XXL (the one that will implement generics in a real type safe way rather than with type erasure). One of the most loved and hated Scala feature is its collection library. In case of JDK 9 it has nothing to fear about. Making immutable collections have become less tedious, though the choice of factory methods instead of constructors is questionable if you ask me. The most frequent use case for Google’s Guava (apart from the magnificent CacheBuilder which we often use with Scala) is fully covered now by the Java core functionality in my opinion. We use Nashhorn and JVM-based scripting quite often, therefore having ECMA6 features like arrow function and block scope will be very helpful. Unfortunately, in every JDK9 build I tried I couldn’t find features promised in the corresponding JEP. Let me list them so we could hope to see it in the near feature with a minor update. Though not as useful as Spray-can and its later reborn as Akka-http-client this version of out of the box http client for Java has finally managed to use Http version 2 as well as WebSockets. This is really helpful as it will allow to get rid of nasty includes of Apache Commons and Spring for the single purpose to do a http call… like we do in 2017. Did I say that it also has an asynchronous API? This is the feature that looks to me as an attempt to chase the Scala’s trait features. In addition to the default method implementation in interfaces added in JDK8 this is the second step to make mixins available for Java developers. This is very handy for those who need to switch between Scala and Java quite often (like I do). By releasing multi-release jars Java committee is planning to address the pain you have to go through while upgrading a JVM version by providing compiled classes for every JVM version they might be executed on. Let’s say your API has been compiled with the JDK 10, but for those retrogrades who are still using JDK 9 you can provide their own oldschool version of your class inside your jar file with no effort from the user’s side. This feature makes my unicorn very happy. This feature addresses those apps that have grown so massive that the JIT compiler takes time to warm-up and fill its caches. The idea is to have your code already compiled to bytecode before starting your application to make the bootstrap of both big and small apps as agile as it could possibly be. There’s a lengthy thread on HN that explains all pros and cons of that feature, but during my small experiments I haven’t noticed any big difference. Scala compiler still takes the longest time to finish its compilation process in comparison with javac and jaotc. Theoretically, this feature might be a game changer for small apps like test Java packs that are eager to start as soon as possible with no need to wait until the caches get warm. G1 collector has been added some time ago, so now after a long improvement & refinement process, it’s going to be the default GC as well as it’s one of the only two that are available for the jaotc compiler. In my personal experience not having to think about what GC you’re using and which options of it to tune to get the most performance is actually a great thing as it allows you to stand on the shoulders of giants. In my personal experience G1 makes the smallest GC pauses as well as it has the most throughput in comparison with parallel and CMS garbage collector. One of the most awaited features of the new JDK is the “Jigsaw” project that was promised to use since java7 six long years ago. The bottom line is that you will be able to release your app in multiple jars by splitting it into modules and encapsulating each one into its own file. The JDK9 itself will be released in 92 modules (this number may change for the final release). Unfortunately, sbt and scalac don’t support modules at that moment. I was given this book, which is an uncommon event for me as I usually buy all books by myself. Moreover, I was given a paper version of the book. Therefore, there were absolutely no regrets regarding this book =) The book is concise and covers almost all parts of Ansible I’ve ever heard of. The only exception was the case when you need to deal with a server that’s under a jump host/bastion, which is very common for cloud deployments as they usually are done in a VPC network of some kind that not exposed to the outer world. This book has plenty of handful examples, but the most useful thing in it were not them. The book covers some of the most undervalued parts of the Ansible ecosystem: Ansible Galaxy, Tower and it also has a decent set of invaluable pattern and best practices for writing your playbooks. 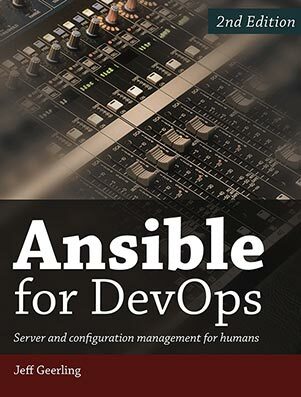 My score: 5/5, I’m not sure if you need to read anything more than this book if you plan to use Ansible professionally. The book provides only a shallow knowledge of Puppet, doesn’t cover some of the most important modules you’ll need in the real world as well as it doesn’t provide practical examples. I can recommend this book only to those who’s looking for a very shallow knowledge of Mesos. It covers only the basics, no details, no iternal APIs, a lot of references to the Mesos documentation. It’s worth reading if you need to quickly refresh your knowledge, besides that it’s worthless. It recommends to do Service discovery within the Mesos cluster by means of HAProxy & Mesos-DNS!!! I don’t normally buy paper books, which means that in the course of the last few years I’ve bought only one paper book even though I’ve read hundreds of books during that period of time. This book is the second one I’ve bought so far, which means a lot to me. Not mentioning that Google is providing it on the Internet free of charge. For me, personally, this book is a basis on which a lot of my past assumptions could be argued as viable solutions with the scale of Google. This book is not revealing any Google’s secrets (do they really have any secrets?) But it’s a great start even if you don’t need the scale of Google but want to write robust and failure-resilient apps. Technical solutions, dealing with the user facing issues, finding peers, on-call support, post-mortems, incident-tracking systems – this book has it all though, as chapters have been written by different people some aspects are more emphasized than the others. I wish some of the chapters had more gory production-based details than they do now. 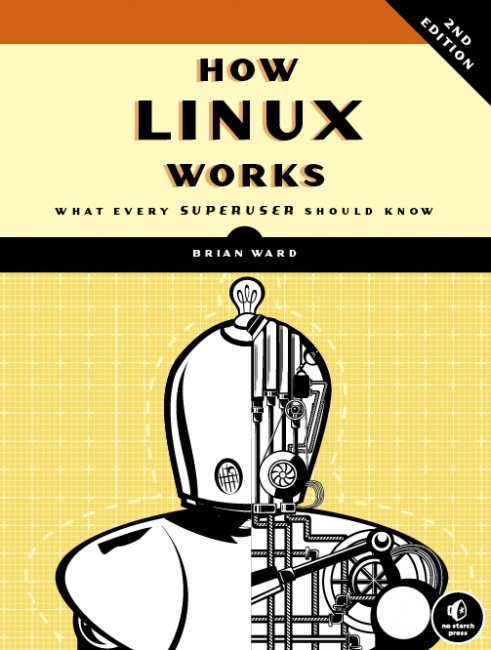 This book doesn’t claim to cover all Linux features, but definitely it covers some of the most important ones. It’s easy to read, though it encompasses lots of useful information. I wish my first Linux book was like that. The only complaint I had with it was that though its second edition has been recently issued and it wasn’t strictly specified on which Linux distribution should I run some of the commands from the book I wasn’t able to try some of them due to that there were no such packages in the APT repository for reference Ubuntu Docker image I’ve been using. This is definitely not a book I would recommend to a SysOps, unless he needs to quickly brush-up his skills. But if you’re a “superuser”, that’s the book you should definitely read to know what’s “inode” any why top&vmstat&iotop might be much more powerful than you’ve thought.